Headache and neck pain are common problems that affect millions of people around the world. If you suffer from this type of problem, you're not alone. The good news is that chiropractic is a great way to not only treat these common issues, but also help avoid future episodes. For many years, patients with neck and headache pain in Massillon, OH have been helped by the chiropractic adjustments of Drs. Ken Haycock & Tim Vierheller. Our success is supported by a recent review done in Canada that found that non-invasive, non-drug treatments are the best choice for neck and headache pain. The study looked at 15 studies from 1990 to 2015 and found that conservative treatment comprised of chiropractic adjustments, exercises, and stretches was advisable before turning to drugs or more invasive procedures. If you're troubled with neck pain or headaches, Drs. Ken Haycock & Tim Vierheller and our staff are here to help you heal. Give our Massillon, OH office a call today at (330) 833-2085 for an appointment today. We know how difficult persistent headache pain can be. Drs. Ken Haycock & Tim Vierheller and our staff have worked with many patients in our Massillon, OH chiropractic clinic, and we've had great success in helping patients reduce their headache pain. A 2016 research study verifies what we see in our practice. In this paper, the authors started with 110 people who were suffering from headache pain that originated in the cervical spine. 58 of these patients were given a series of neck adjustments; 52 were given some stretches and exercises. The treatment period for both groups was four weeks. The paper found that the individuals who received cervical and thoracic spinal adjustments "experienced significantly greater reductions in headache intensity, disability, headache frequency, headache duration, and medication intake as compared to the group that received mobilization and exercise." The investigation also found that these results were maintained at the three-month follow-up exam. Chiropractic is a safe and effective way to treat chronic headache pain, back pain, neck pain, and many other health conditions. If you're tired of suffering, give Drs. Ken Haycock & Tim Vierheller a call today at our Massillon, OH office at (330) 833-2085. We're here to help get you relief. Many people suffer with headache pain, and tension headaches are a common problem in our busy lives. Postural problems and stress are common sources of tension headache pain, and ones that Drs. Ken Haycock & Tim Vierheller and the team here in our Massillon, OH chiropractic office have a lot of experience in treating. The scientific literature confirms our results: A 2016 study from Spain managed a group of 76 patients with chronic tension headaches. The participants were divided into four treatment groups: 19 patients were treated with suboccipital inhibition (the doctor presses on the tight tissues at the top of the spine); 19 with chiropractic adjustments; 19 with both adjustments and suboccipital inhibition; and 19 received no treatment. 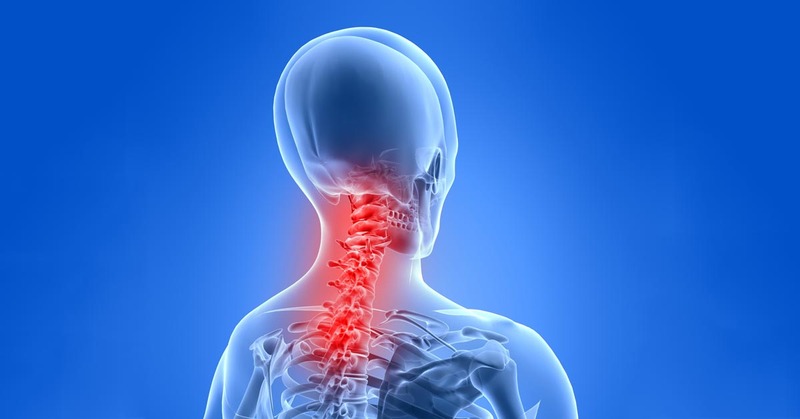 The authors reported that the spinal adjustments were beneficial at relieving pain, and that the best results were found when adjustments were combined with the suboccipital inhibition. When we get stressed out, the nerves and tissues in the neck can be disrupted, leading to pain. Chiropractic works by removing these strains and restoring the normal nerve function to the area. If you live in Massillon, OH and are suffering from any kind of headache, we're here to help you get relief. Call Drs. Ken Haycock & Tim Vierheller today at (330) 833-2085 for an appointment or more information. There are many different kinds of headache, but one of the most common types is known as "cervicogenic headache," or those that start in your neck. Drs. Ken Haycock & Tim Vierheller sees a lot of patients in our Massillon, OH office who are struggling with recurring headaches. Luckily, chiropractic adjustments can usually help, potentially reducing these types of headaches by 50%, and research confirms it. A study was conducted involving 80 participants who reported experiencing at least five cervicogenic headaches during the prior three months. The objective was to discover how effective chiropractic was for this type of head pain, as well as to ascertain the number of treatment sessions required to achieve a positive effect. The subjects were divided into four separate groups, so that each group was similar in age, gender, number of cervicogenic headaches, and their intensity. Of the four groups, two engaged in chiropractic treatments and two received light massage. Furthermore, one group assigned to each treatment received eight sessions and the other patients received double that amount. Furthermore, individuals who were taking medications for their headaches were able to lower their intake after completing the study. Those who received chiropractic had lower drug usage 24 weeks post-study. Drs. Ken Haycock & Tim Vierheller has helped many patients who were suffering from headache pain in our Massillon, OH office. Call us today at (330) 833-2085 for more information or for an appointment. Drs. Ken Haycock & Tim Vierheller sees many people weekly in our busy Massillon, OH chiropractic office who are looking for relief from the pain and agony they feel due to herniated discs. Our experience isn't unique; the medical research confirms that chiropractic care is a successful way to treat herniated disc problems. One particular study involved 27 people, 8 male and 19 female, who had magnetic resonance imaging (MRI) confirming a disc herniation in either their neck or lower back. The individuals documented that they were experiencing pain, limited range of motion, and sensory issues bad enough to keep them off work. Over the course of the research study, the subjects were managed using one of two common chiropractic techniques: traction for herniated discs in the cervical area or flexion distraction for the patients who had herniation issues in the low back. Each man or woman was seen four or five times per week for the first two weeks, then three times each week, and then as needed for the remainder of the study. 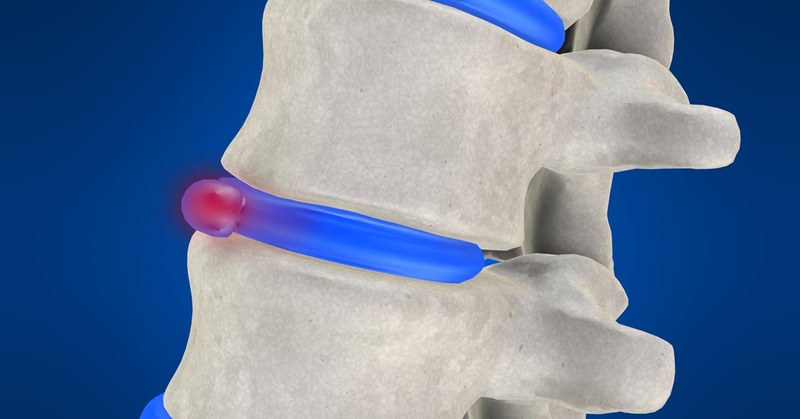 Based on the extent of the disc herniation, treatment ranged anywhere from six weeks to six months, with MRIs being performed at various stages to identify what effect, if any, the chiropractic care was having in regard to the disc herniation. The authors reported that 80 percent of the patients enjoyed a "good clinical outcome," meaning reduced pain and a reduction in other issues, such as numbness. Additionally, 77 percent of these men and women also showed MRI evidence that their disc herniation was either reduced or resolved completely. This resulted in 78 percent of the study participants being able to return to their place of employment and led the researchers to conclude that chiropractic care is both "safe and helpful" for disc herniations. If you have a herniated disc and suffer from chronic back pain and are near Drs. Ken Haycock & Tim Vierheller in Massillon, OH, contact our office today to see what chiropractic can do for you! BenEliyahu, DJ. Magnetic resonance imaging and clinical follow-up: study of 27 patients receiving chiropractic care for cervical and lumbar disc herniations. Journal of Manipulative and Physiological Therapeutics 1996;19(9):597-606. In our Massillon, OH practice, we see many people who are dealing with back pain, and some of these folks have been told they might need surgery to recover. Fortunately, Drs. Ken Haycock & Tim Vierheller has helped many people get pain relief without the need for any type of operation. The scientific literature agrees with the success we see in our practice. One research study published in the medical journal Spine found that seeing a chiropractor as your first move in dealing with your back problems may actually keep you off of the operating table. In this research study, medical experts from Dartmouth reviewed data from about 1,900 workers from the state of Washington who first saw either an orthopedic surgeon or a chiropractic doctor for their back pain issues. They then examined three years' worth of follow-up medical information to ascertain whether the subjects wound up having back surgery in an effort to treat the issue. These are remarkable findings. Seeing a chiropractor significantly reduces your odds of having back surgery, plus the chiropractic patients in this report "had lower odds of chronic work disability" and they also had fewer expensive MRI tests. Let's also take into consideration this important point: this study was carried out by orthopedic surgeons from Dartmouth College, and printed in the world's most distinguished medical journal on spinal injury. As a chiropractor, Drs. Ken Haycock & Tim Vierheller is convinced that surgery should be the absolute last choice for treating back pain. Chiropractic works to restore your spine to its normal function--without risky surgery or drugs--and many research studies have demonstrated the usefulness of chiropractic for back pain. If you live in Massillon, OH and you need relief for your back pain, give our office a call today at (330) 833-2085 for a consultation or an appointment. We'll help get you back on the road to a pain-free life! Approximately 2.3 million people are injured each year in automobile accidents in the U.S. While most people are able to recover from their injuries fairly easily, others are left to deal with chronic pain and impairment. We see many of these patients here in our Massillon, OH office. Thankfully, Drs. Ken Haycock & Tim Vierheller is here to help you recover from your auto injury. The science confirms what we see in our office: A British study was conducted on 28 men and women diagnosed with chronic whiplash pain. Each participant received chiropractic treatment and 93 percent of them experienced pain relief following their adjustments, even though 43 percent of whiplash sufferers overall usually never find relief. This confirms that chiropractic care is a great way to avoid long-term pain after an auto injury. It's important to note that studies have also found that putting off treatment after a car crash can adversely affect recovery time, so getting in to see Drs. Ken Haycock & Tim Vierheller as soon as possible is key to having a speedier recovery. Drs. Ken Haycock & Tim Vierheller has worked with many auto injury patients, and we're here to help you, too. Call our Massillon, OH office today for more information or an appointment. When you're trying to support your family, take care of your home, and pay all of your bills on time, every day at your job counts. Work injuries can be a huge problem for many folks, and we see many of these types of injuries in our Massillon, OH office. Drs. Ken Haycock & Tim Vierheller understands your situation and is here to help. The advantages of chiropractic care for work injuries are well-documented. A 2013 survey involving over 600 adults who were troubled with either back or neck pain found that the people who didn't see a chiropractor missed work at twice the rate of those who were seeing a chiropractor. According to the participants in this study, two of the primary factors were that they thought they needed a referral for chiropractic care (which is typically no longer true) and they overestimated the costs associated with chiropractic treatment sessions by almost 70 percent. The reality is, chiropractic patients actually spend less on care than medical patients, plus they are less likely to use drugs for their symptoms. If you live in Massillon, OH and you've been injured at work, we can help. Give our office a call today at (330) 833-2085 for an appointment. When performing sports activities that demand a lot of lower body motion, like football, soccer, and basketball, it's common to sustain some type of injury to your hips or legs. Between pulled hamstrings, sprained ankles, knee injuries, and more, many athletes have found themselves sidelined. Drs. Ken Haycock & Tim Vierheller has seen all of these problems in our Massillon, OH patients. Fortunately, chiropractic care can help prevent some of these injuries from developing and research proves it. Drs. Ken Haycock & Tim Vierheller keeps current with all of the latest scientific research, and in a report published in BMC Musculoskeletal Disorders, researchers from Macquarie University in Australia studied 59 semi-elite Australian Rules footballers. Roughly one-half were placed in a control group and the others were put in a treatment group that received sports chiropractic care at regular intervals. During the first six weeks, this meant engaging in care once per week. The following three months consisted of an adjustment every two weeks before reducing those to one visit monthly for the final three months of the study. The authors noted that there was a "significant" decrease in the number of lower limb strains the players received in the treatment group when compared to the control. In addition, they noticed that the subjects who received chiropractic also had fewer weeks of missed practice and games as a result of non-contact knee injuries. This led them to conclude that sports chiropractic treatment should be added to "the current best practice management." Every major sports team in the US and the US Olympic Team has chiropractors on staff for their athletes, because they know that chiropractic really works. If you live near our office in Massillon, OH and would like to see if Drs. Ken Haycock & Tim Vierheller can help you boost your performance or reduce sports injuries, give our office a call today at (330) 833-2085 for an appointment. We see a good deal of sports injuries in our Massillon, OH office, and Drs. Ken Haycock & Tim Vierheller is generally able to assist these athletes. Stanford Children’s Hospital reports that over 3.5 million children aged 14 and below are injured each year when playing sports. Add that to the almost 2 million adults hurt each year while engaged in sports-related activities, according to statistics compiled by the U.S. Department of Health & Human Services, and you can start to see the importance of minimizing these sorts of widespread injuries. One way to potentially realize that goal, as reported by a study published in BMC Musculoskeletal Disorders, is to receive routine chiropractic treatments. In Australian Rules football, hamstring and other leg injuries are commonplace, frequently sidelining the players and affecting their team's likelihood of securing a win. One specific study was administered using 59 semi-elite Australian Rules footballers to see if chiropractic could diminish these injuries and help keep them playing. For this study specifically, every one of the participants was given medical treatment. Furthermore, half of them also received chiropractic sessions at the rate of 1 session each week for the first six weeks, biweekly sessions for the next three months, and one treatment each month for the final 3 months of the study. The other half were given no chiropractic intervention whatsoever and were used as the control group to assess the benefits of chiropractic adjustments. After twenty-four matches, specialists reported a diminished number of lower limb muscle strains in the group that had been given chiropractic care. Additionally, that same group also missed fewer matches connected to non-contact knee injuries. This lead the researchers to come to the conclusion that chiropractic should be made an addition to sports training programs to dramatically reduce the number of leg injuries. If you or your child plays sports and you want to make sure more time is spent on the field as opposed to on the sidelines, call our Massillon, OH office at (330) 833-2085 and make an appointment today. We will do our best to keep you in the game!